We now offer rental options on a large selection of products from signage, stands and frames to electronic message boards and speed awareness trailers. You may have already noticed this icon in our catalogues, you'll start to see it used online as well to make it even easier to find the products you want. It quickly tells you that the product you're looking at is also available for rent. For short term projects there can be cost advantages to renting. Rentals always meet current regulations. No need to update your out-of-date signs. Rentals can be delivered right to your jobsite. Zero Risk! If you don’t need it, just return it. Gives you the opportunity to try before you buy. Short term or long term rentals are available with discounts based on the term. 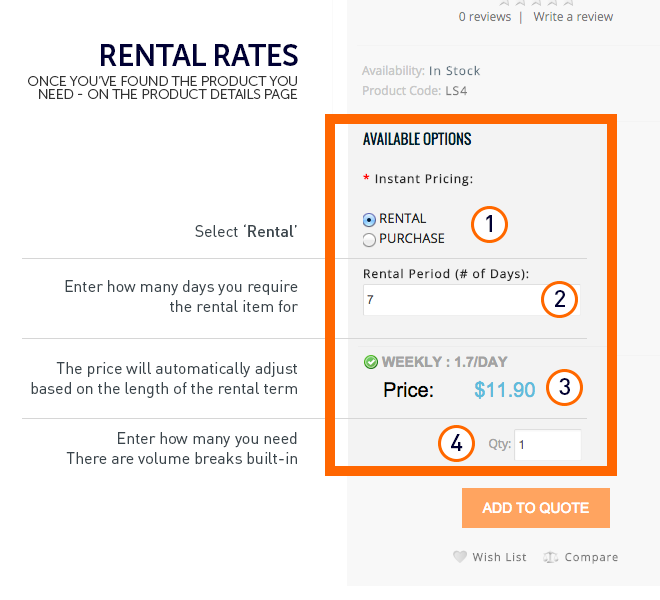 On the product page you’ll see the ‘rent or purchase’ option and you can compare rental rates right there! With built in price breaks on volume and rental terms - comparing your options is easier than ever. 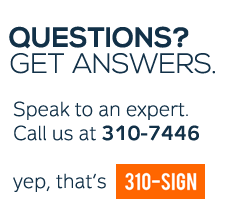 If you need something that isn’t part of our program, just let us know. We’re always adding new rental products.